Our organization is involved in providing a comprehensive series of Grains Packing Machine, which is developed by proficient experts employing quality approved material and sophisticated technology. 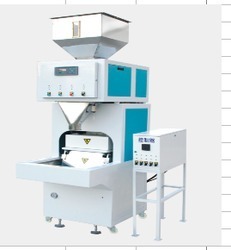 These machines are available in many specifications that meet on customers demand. Apart from this, these machines are tested by quality analysts in order to supply fault-free range to the patrons.